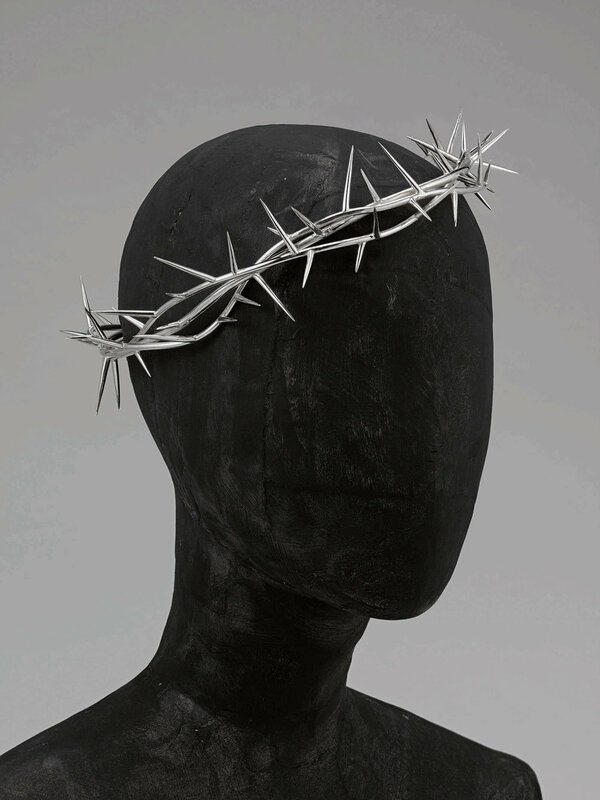 From a crown of thorns created for Alexander McQueen’s 1996 ‘Dante’ collection to a coiled corset for McQueen’s The Overlook' collection or porcupine quills earrings that debuted in 2003, Shaun Leane’s fashion jewelry showcases his unmistakable aesthetic. Sometimes akin to body sculptures, his creations have contributed to some of the most memorable fashion moments on McQueen’s catwalks, and have been worn by fashion icons like Isabella Blow, Daphne Guinness and Sarah Jessica Parker. On December 4, Sotheby’s New York will auction 45 bespoke pieces that the jewelry designer has created over the jewelry designer created over a 20-year period, and with estimates ranging from $2,000 to $400,000, Couture Fashion Jewelry – The Personal Archive of Shaun Leane promises to be one of the highlights of the A Life of Luxury auction series, which the auction house will hold that month. When he was 16, Leane began a seven-year apprenticeship in the traditional craft of goldsmithing with English Traditional Jewellery in Hatton Garden – a renowned workshop located in London’s jewelry quarter. Upon finishing his apprenticeship, Leane continued to work for the jewelry house over the next five years, crafting lustrous fine jewels ranging from solitaires to tiaras. He first met McQueen in a pub in 1992, when the two were still students, and later when McQueen visited Leane in Hatton Garden the following year and saw him working on a diamond tiara he was impressed and suggested they work together. Under McQueen’s influence Leane became exposed to a new outlook for jewelry design with the runway providing a dreamscape in which he could question the very nature of a piece. “[McQueen] took me out of my comfort zone, encouraging me to apply my skills to other materials to create bigger forms,” Leane once told the Financial Times. He started experimenting with silver, brass and aluminum, teaching himself new techniques to create jewels on a grander scale than he had been used to. He and McQueen would go on to collaborate on up to eight collections each year over the course of their 17-year partnership and friendship, until McQueen’s death in February 2010. Leane started his eponymous label, the House of Shaun Leane, in 1999. Some of his jewelry pieces have been acquired for the permanent collections of the Metropolitan Museum of Art and the Victoria and Albert Museum, among others.